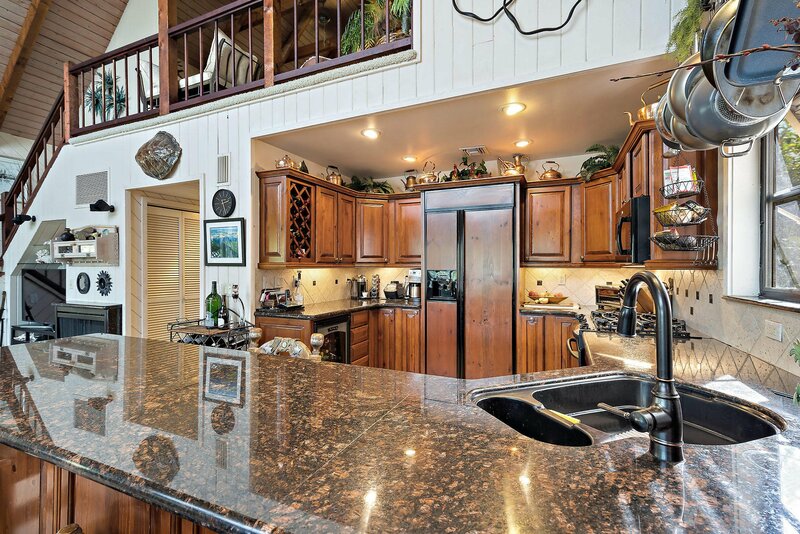 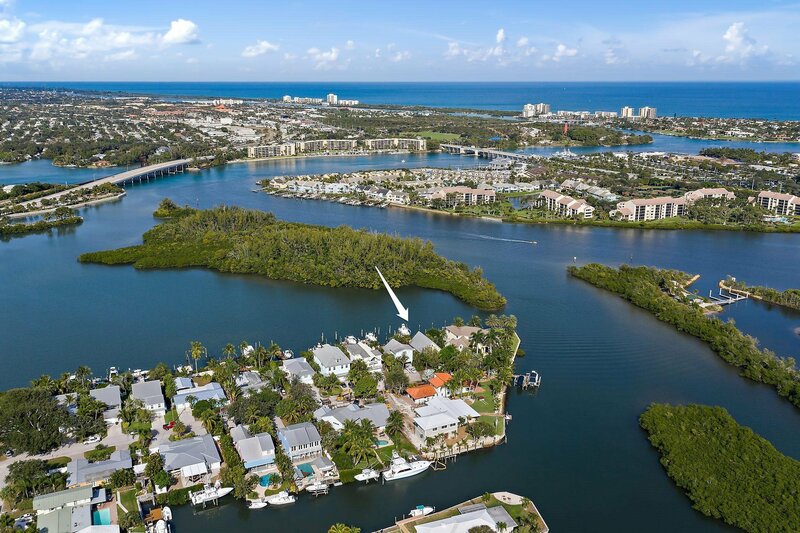 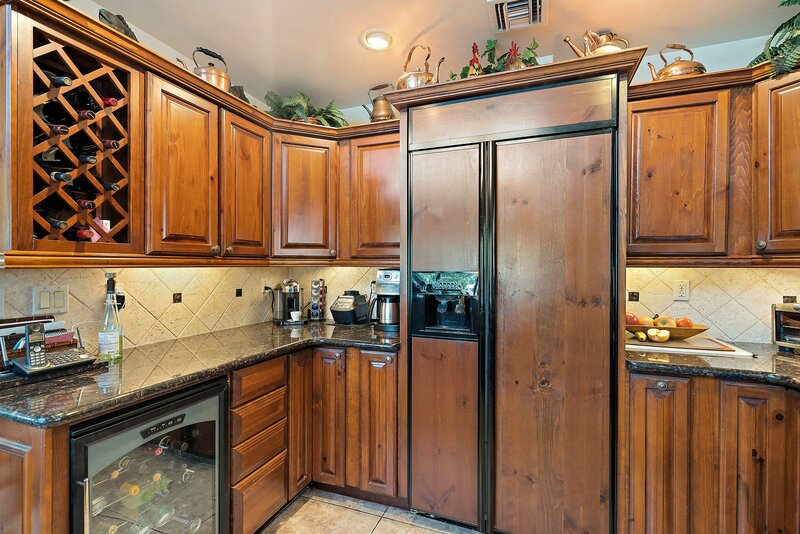 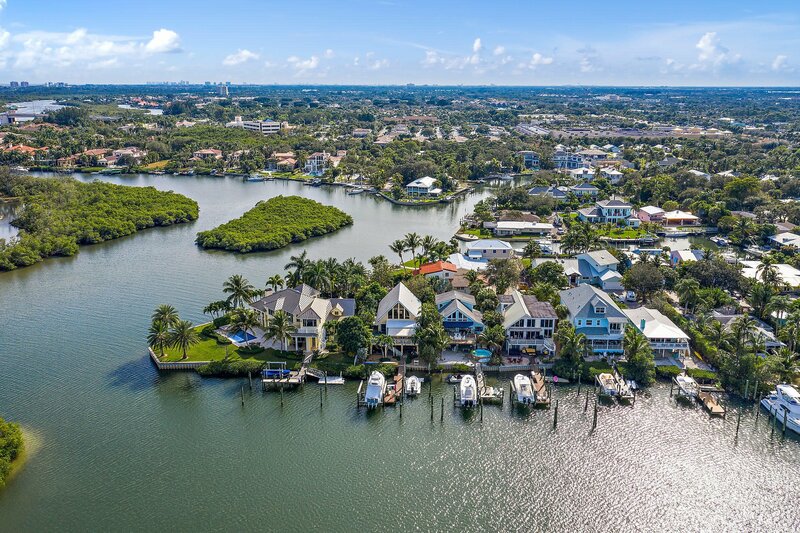 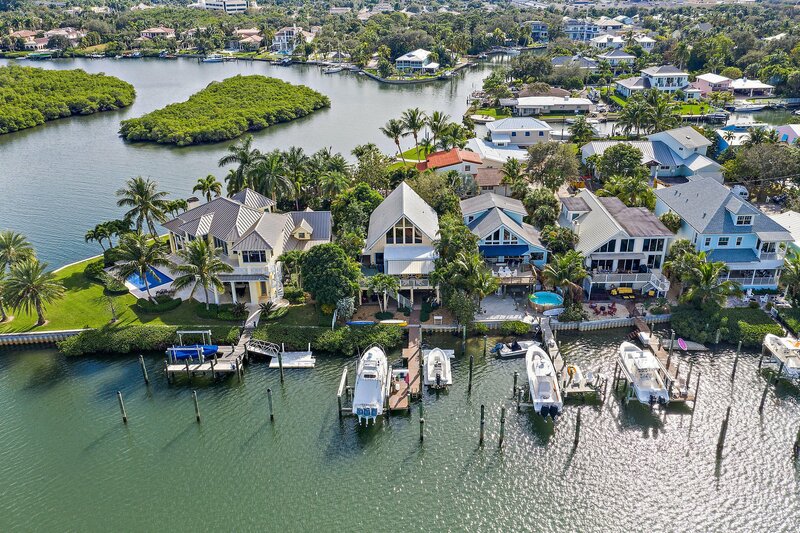 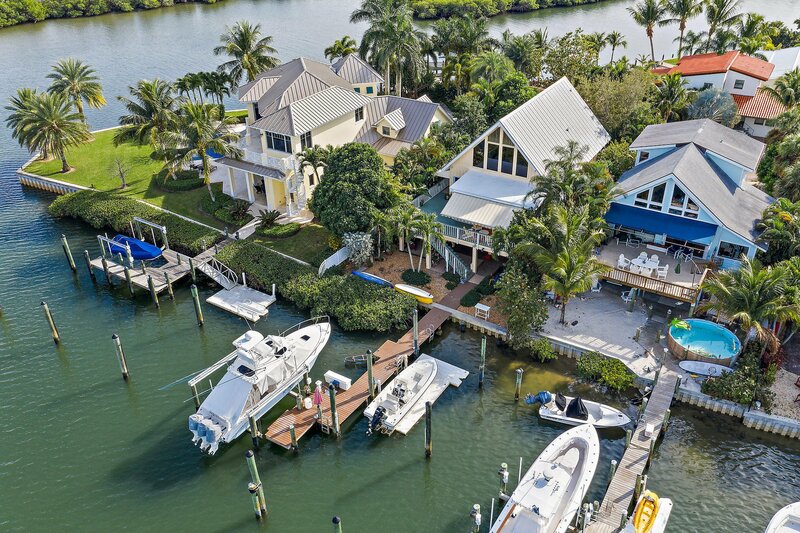 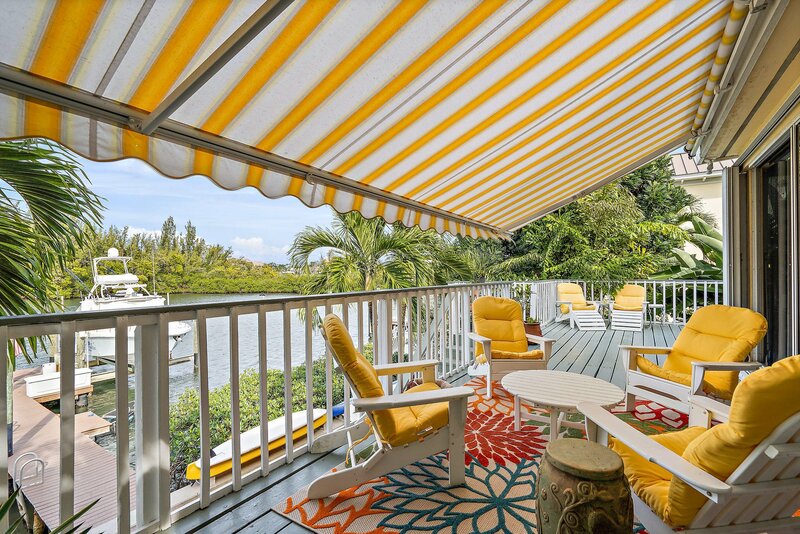 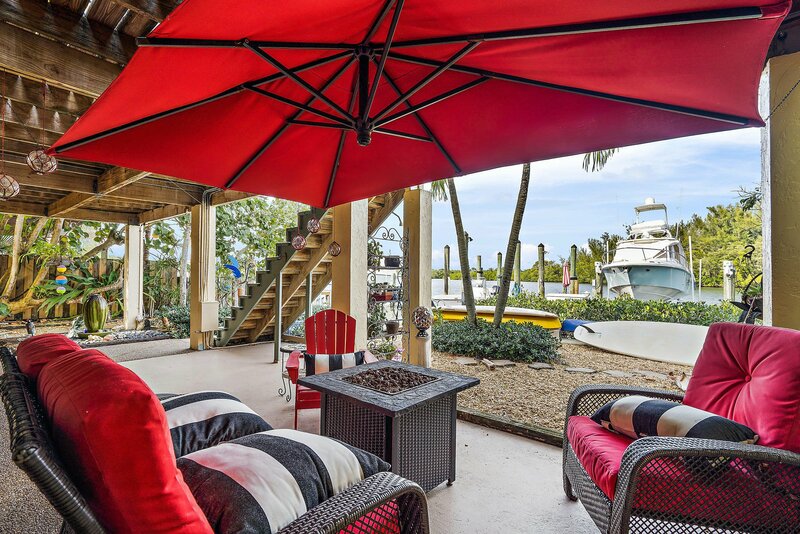 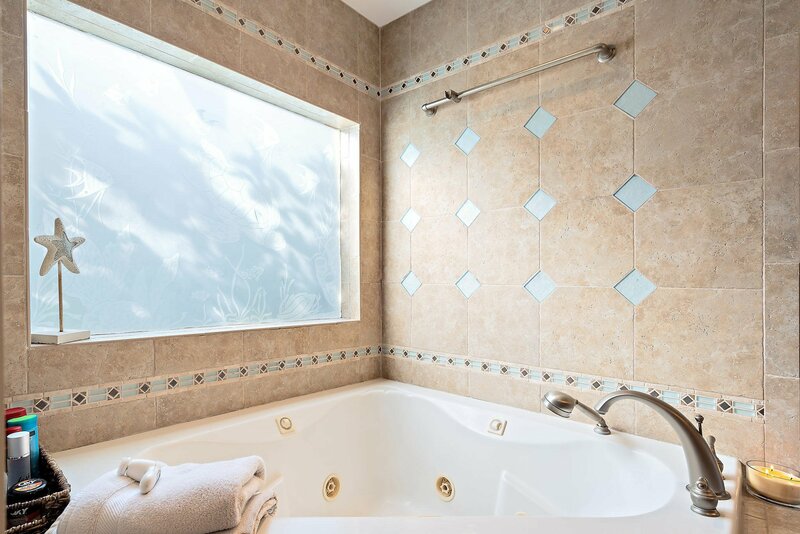 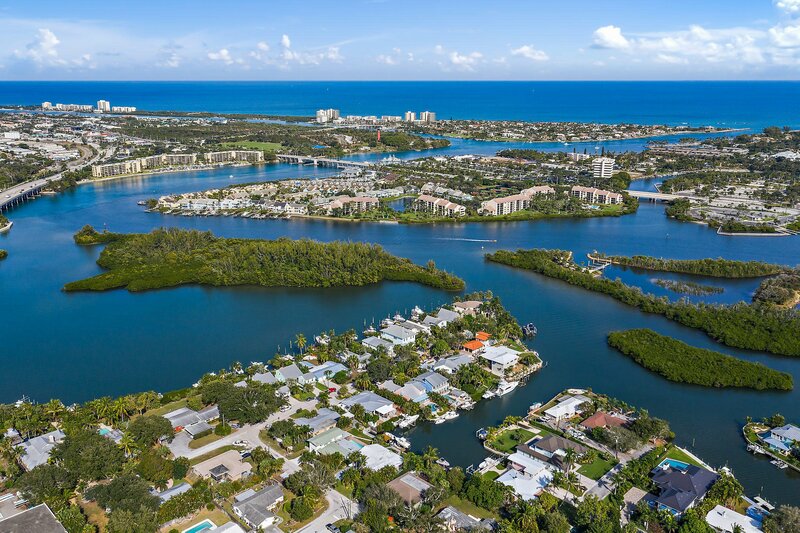 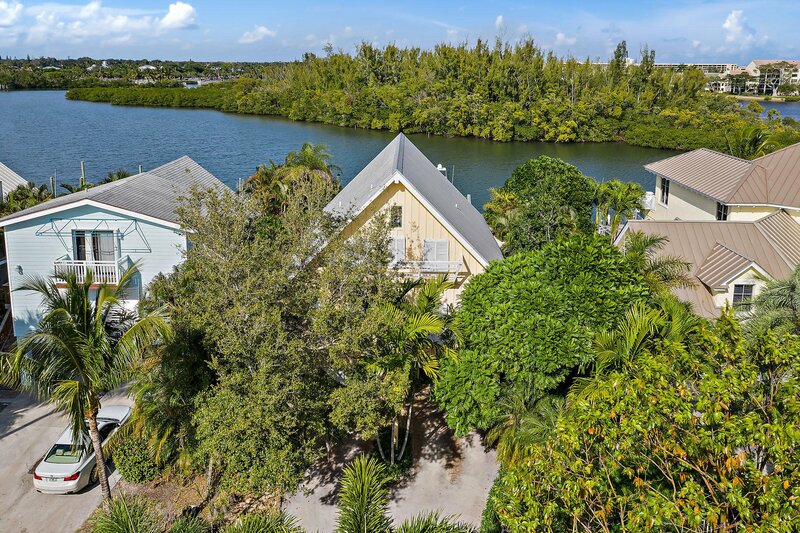 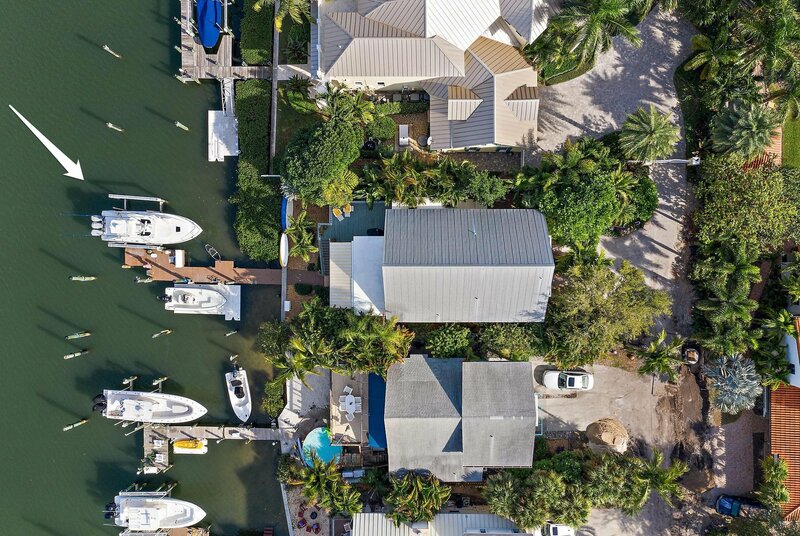 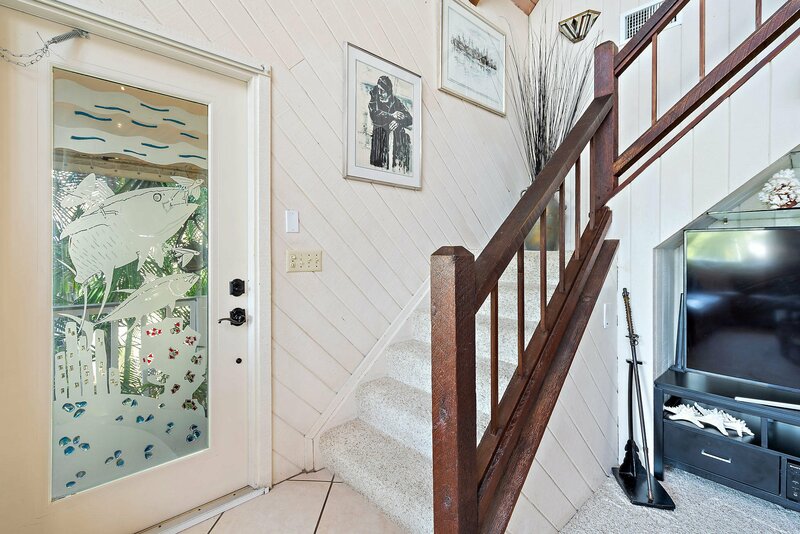 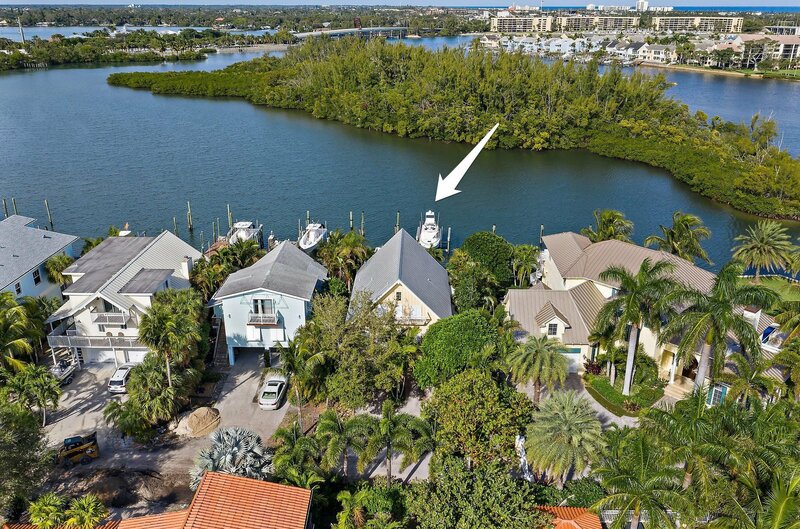 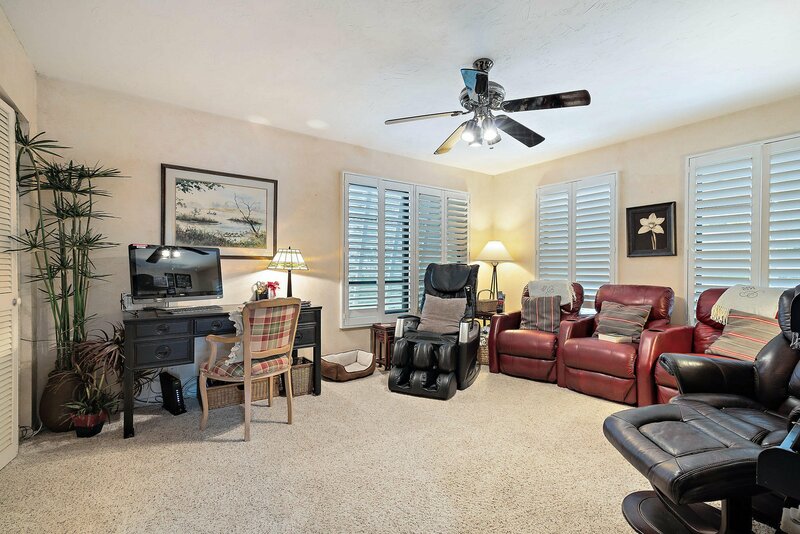 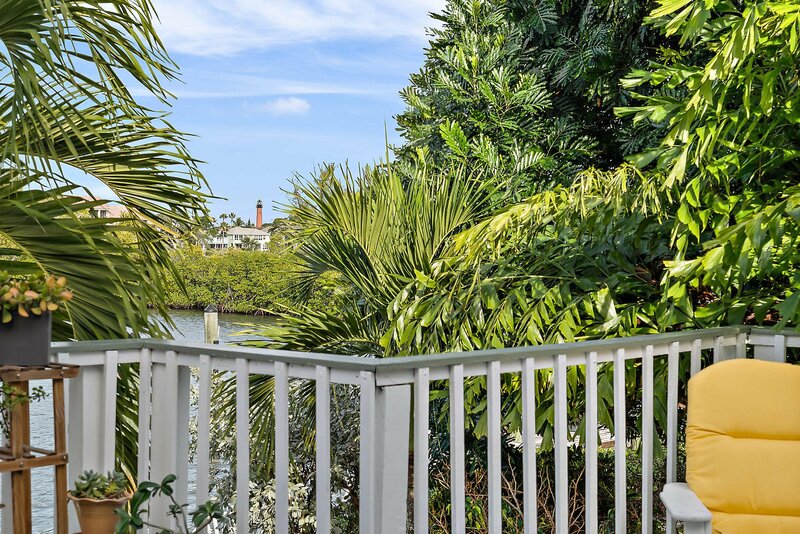 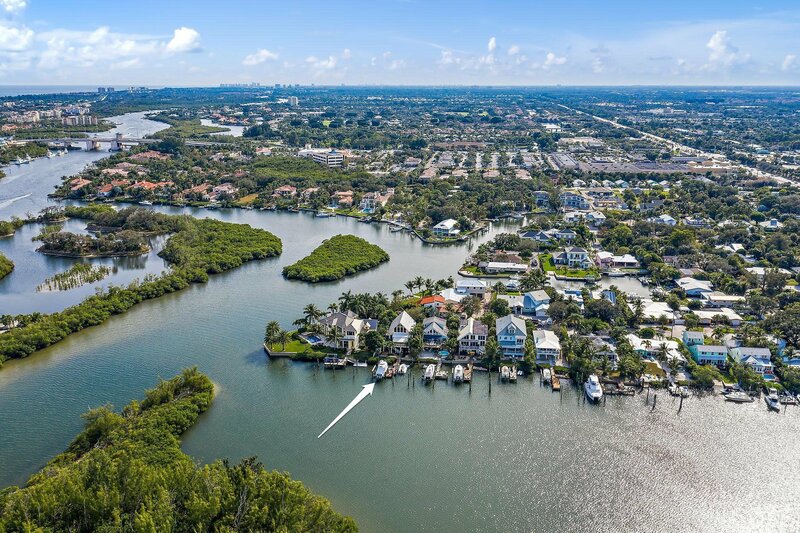 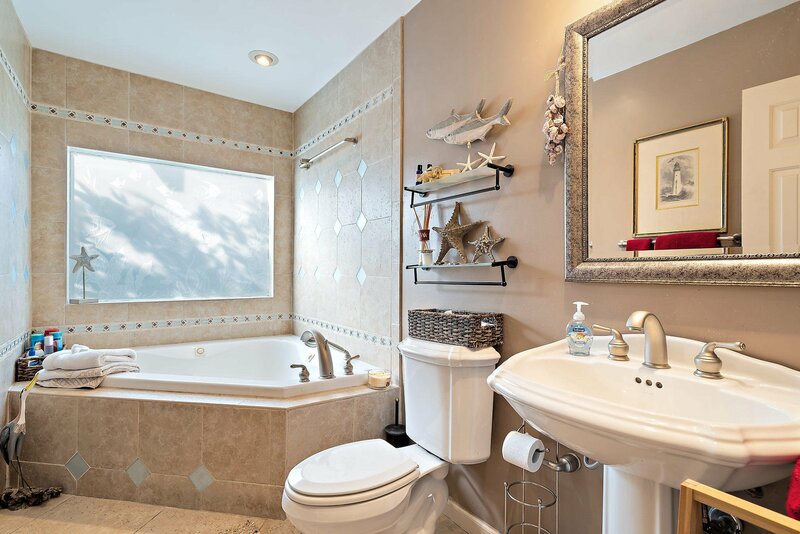 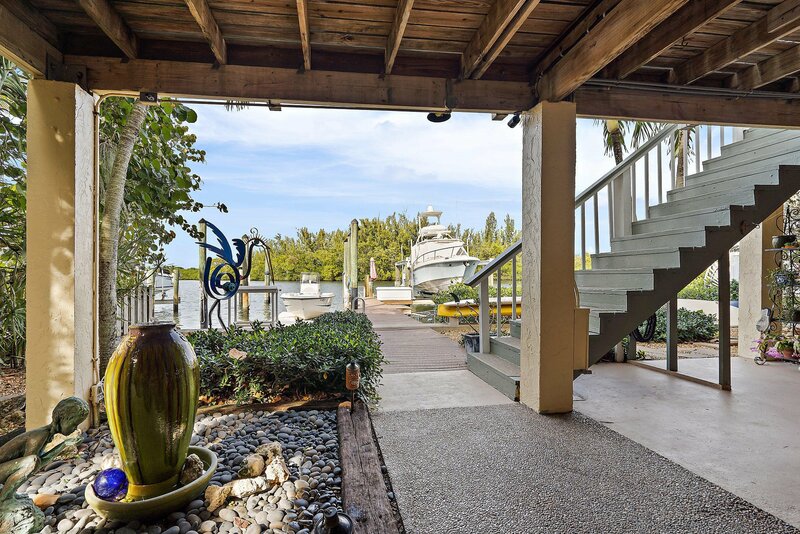 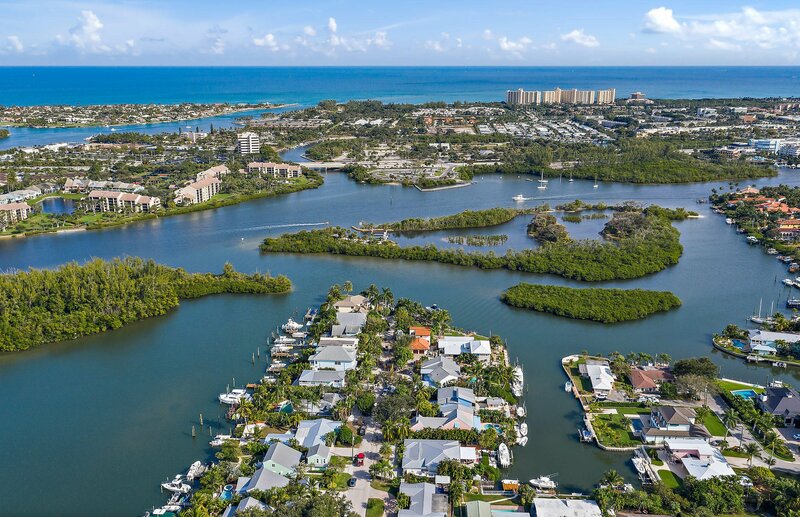 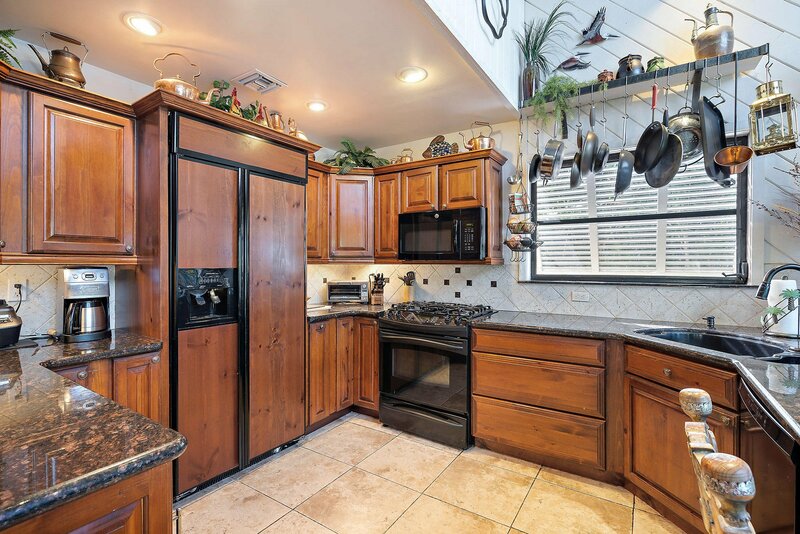 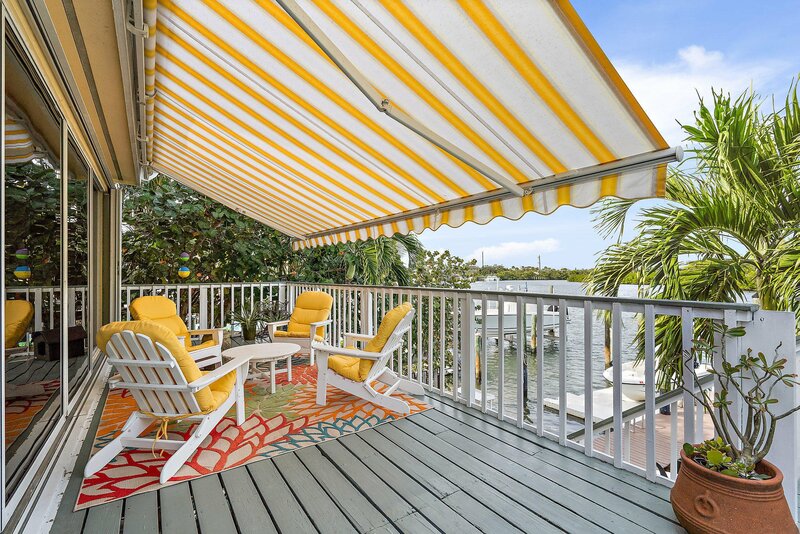 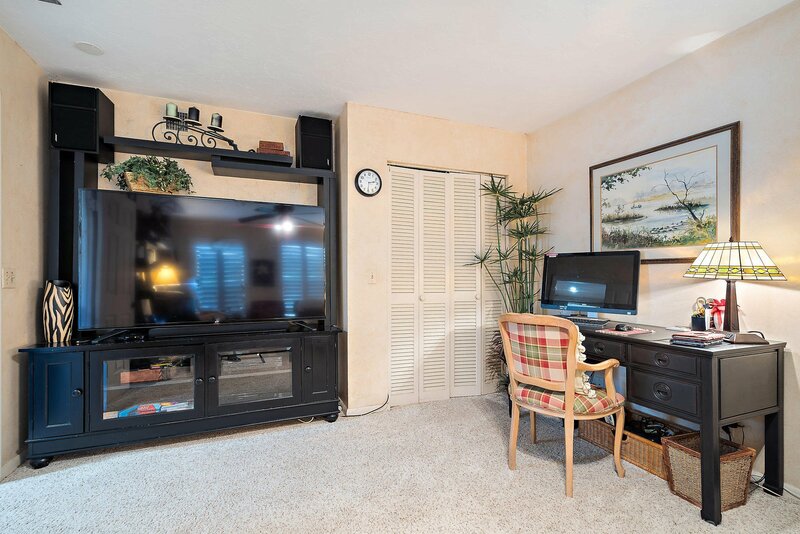 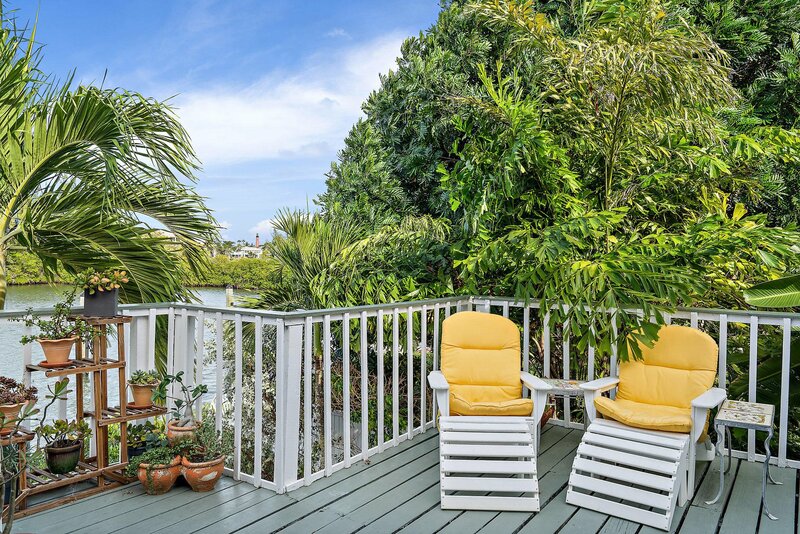 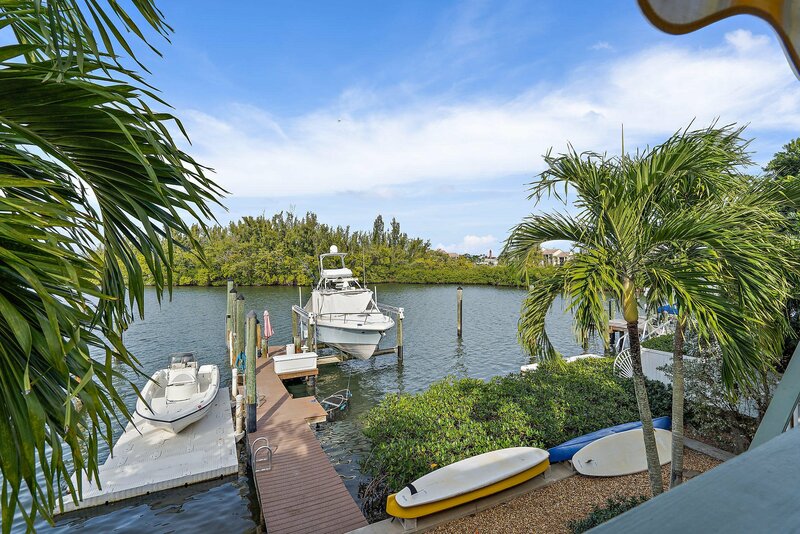 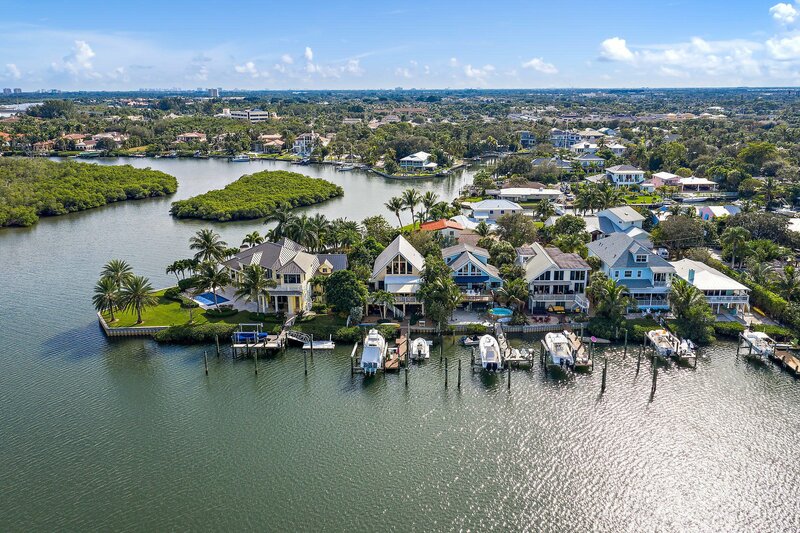 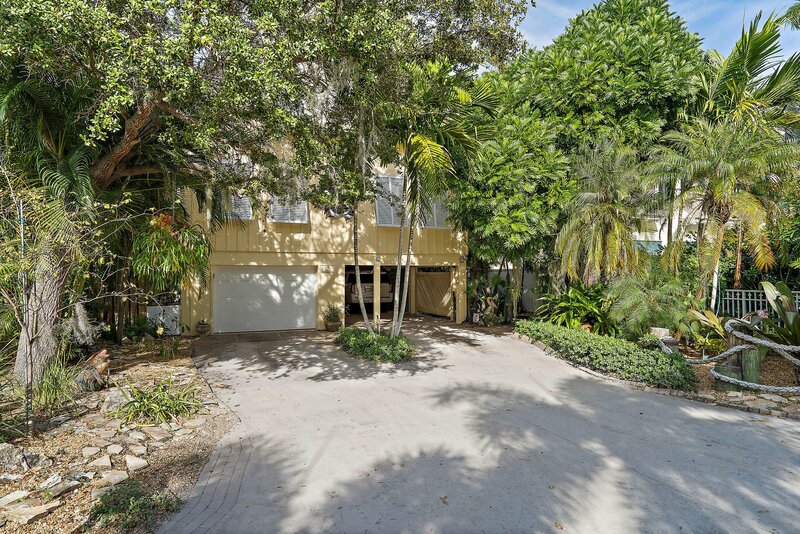 Best waterfront location in Jupiter with expansive views of Sawfish Bay and the Jupiter LIghthouse. 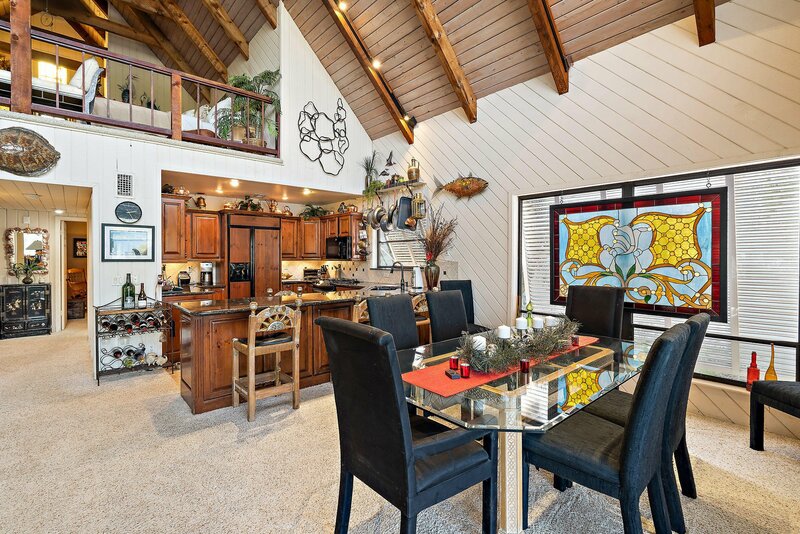 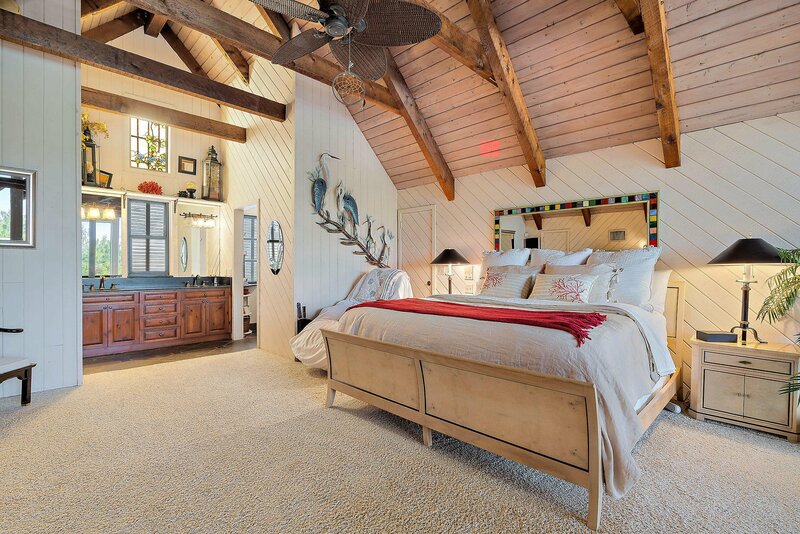 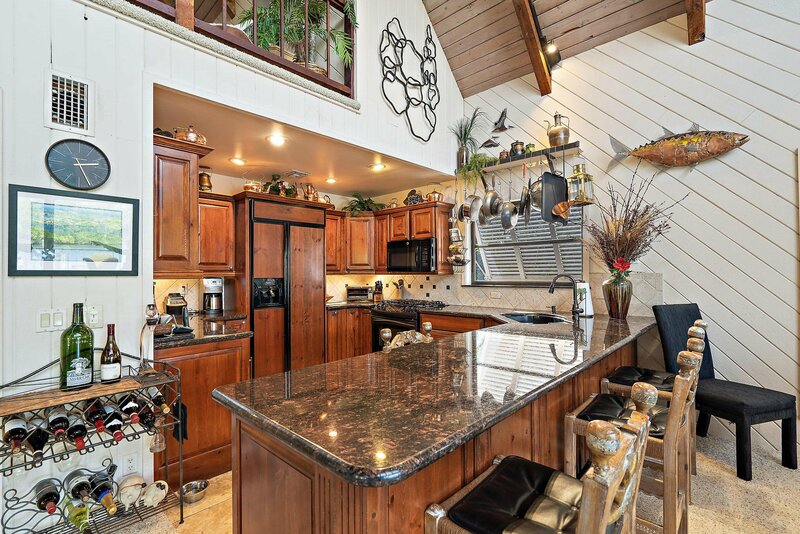 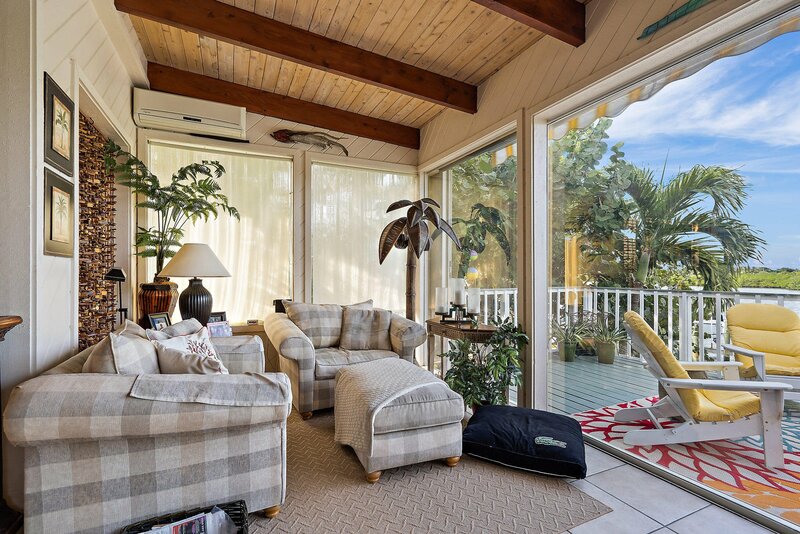 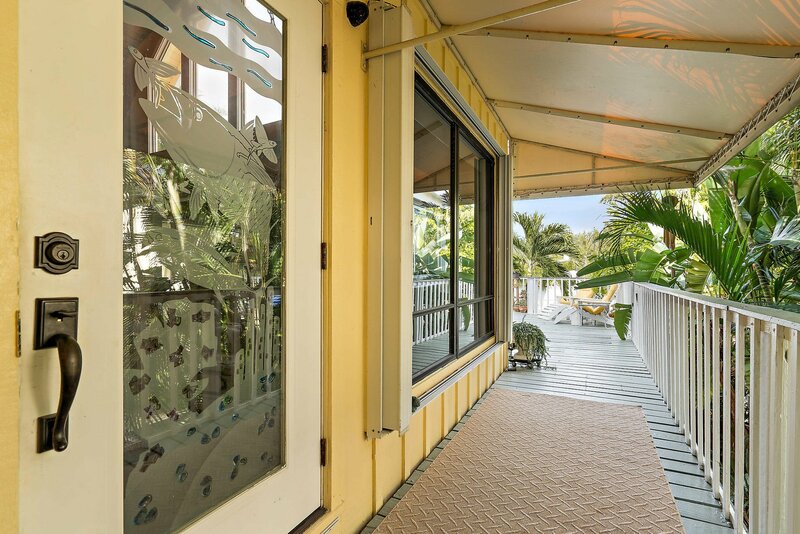 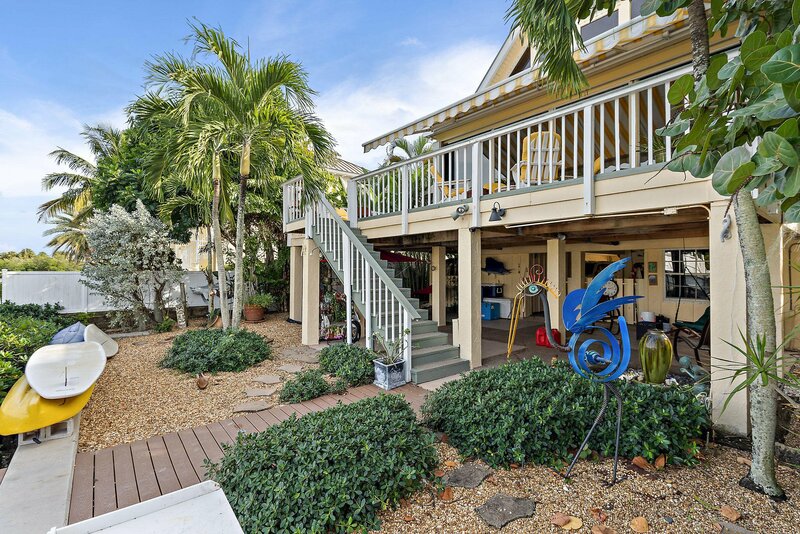 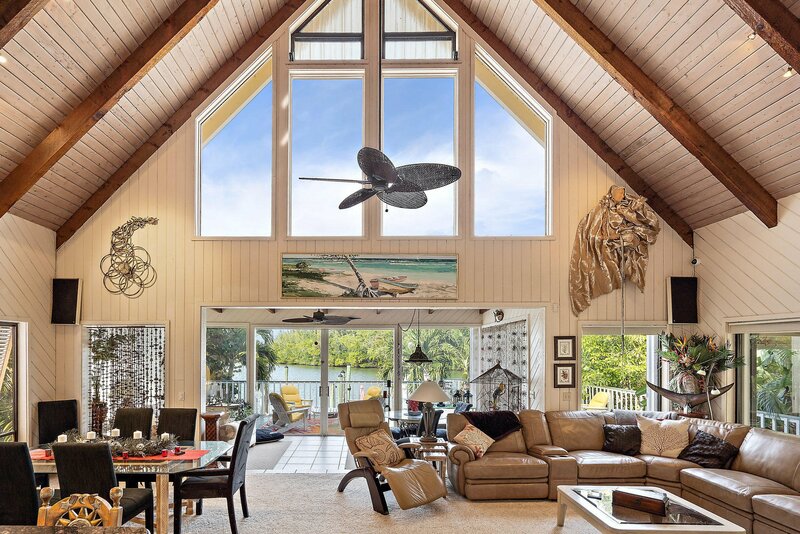 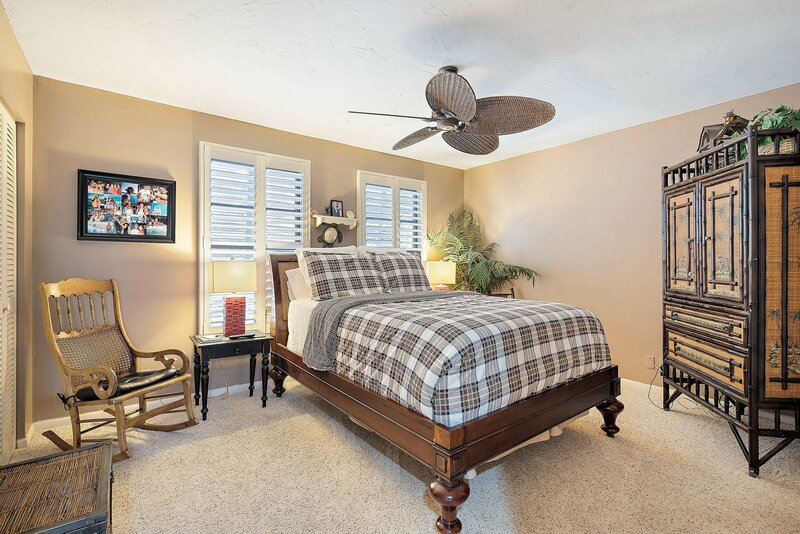 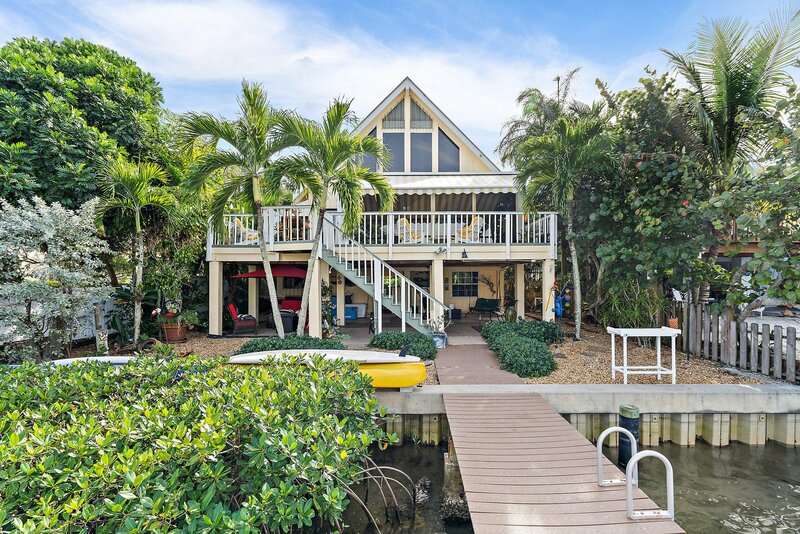 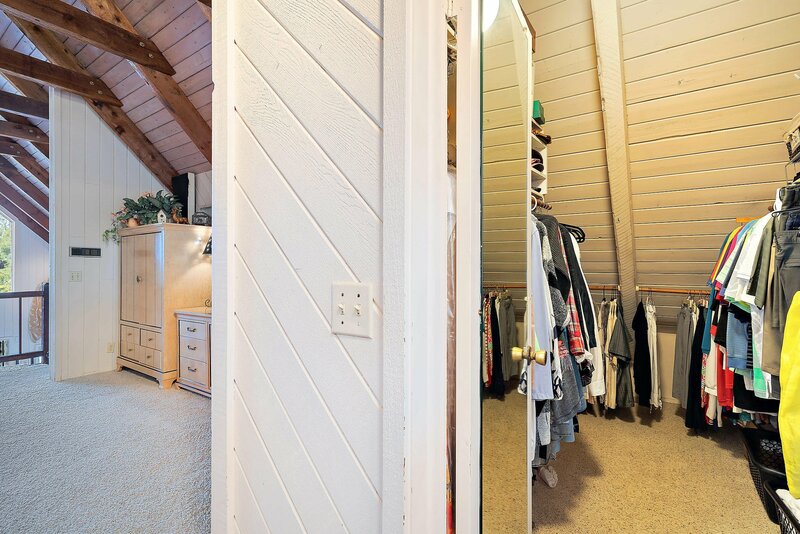 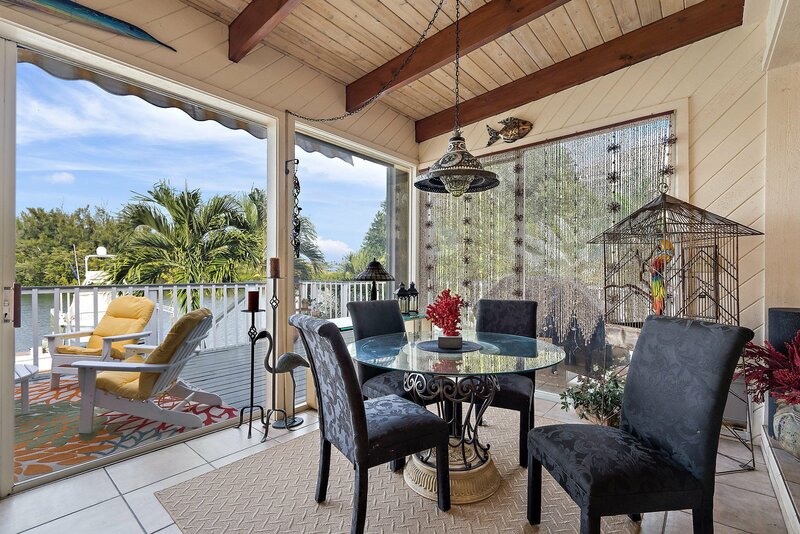 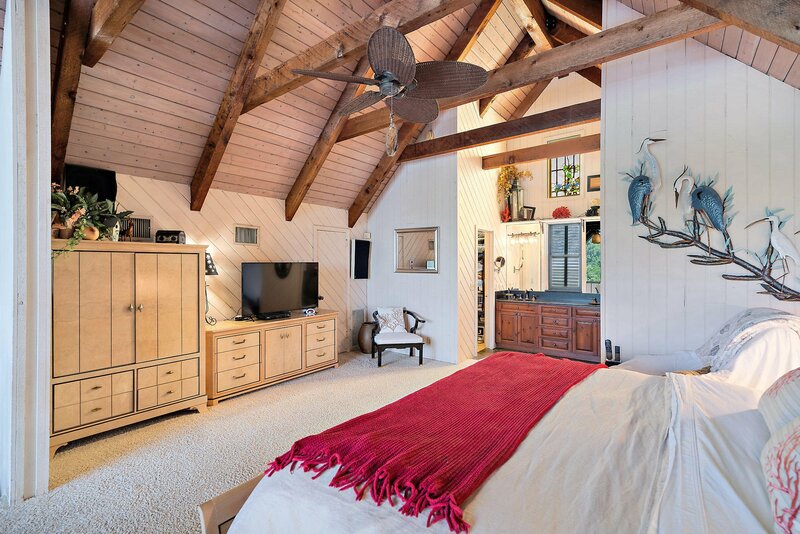 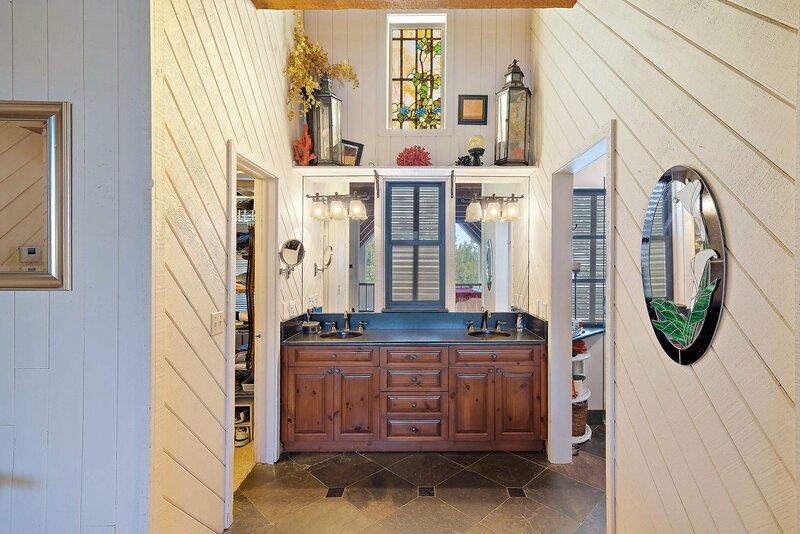 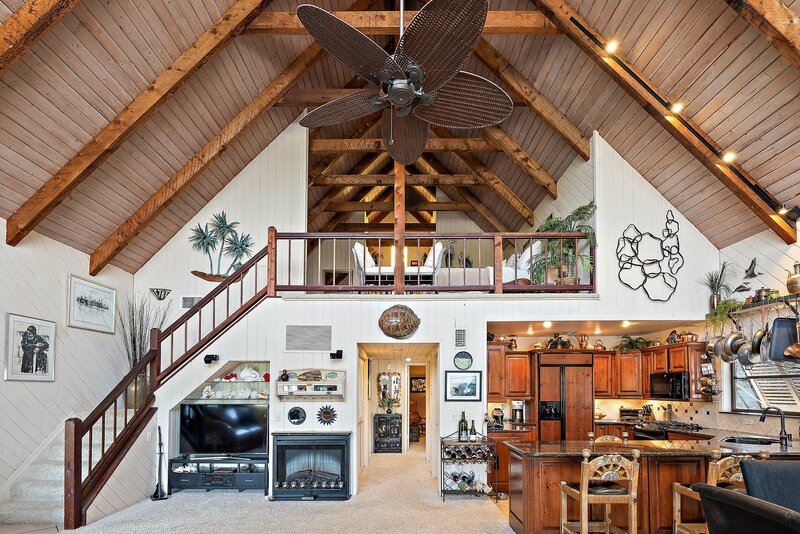 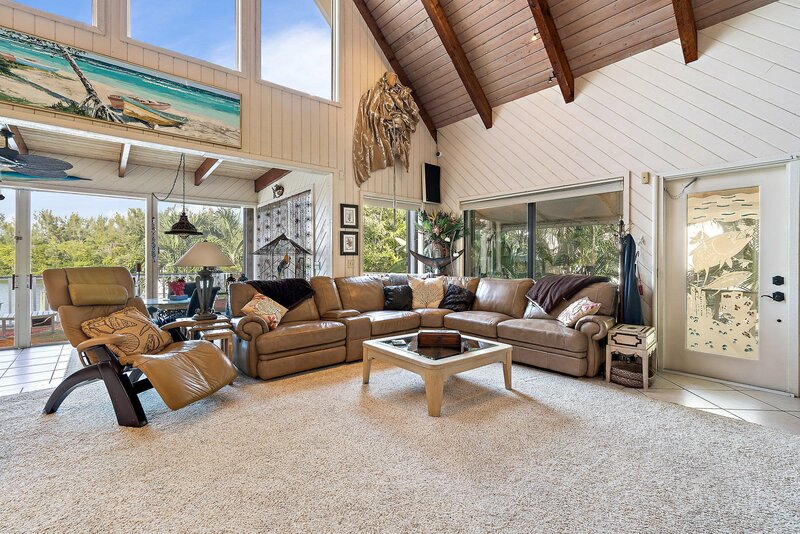 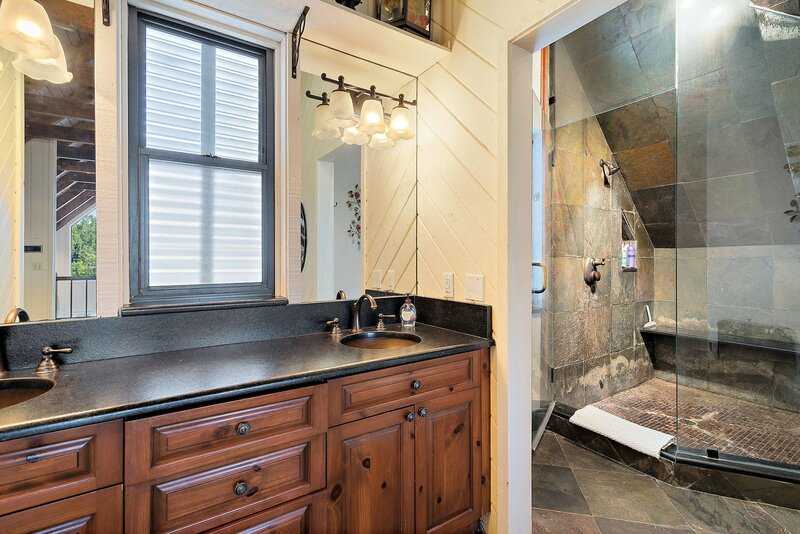 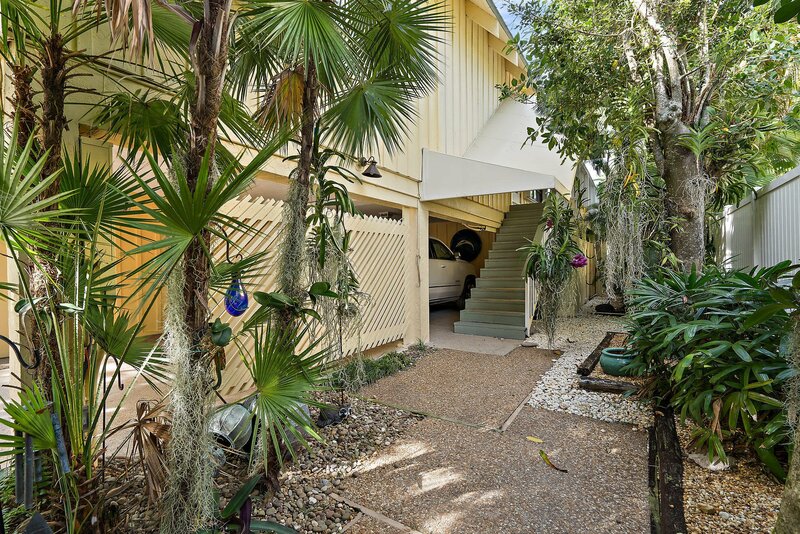 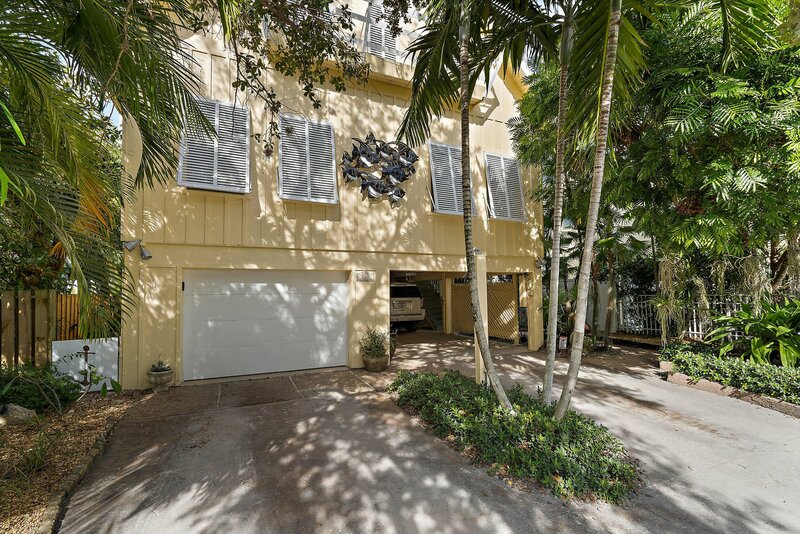 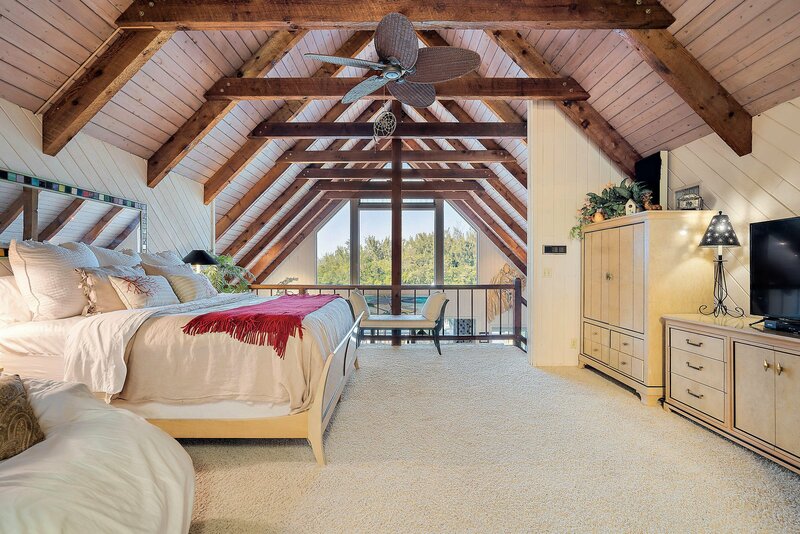 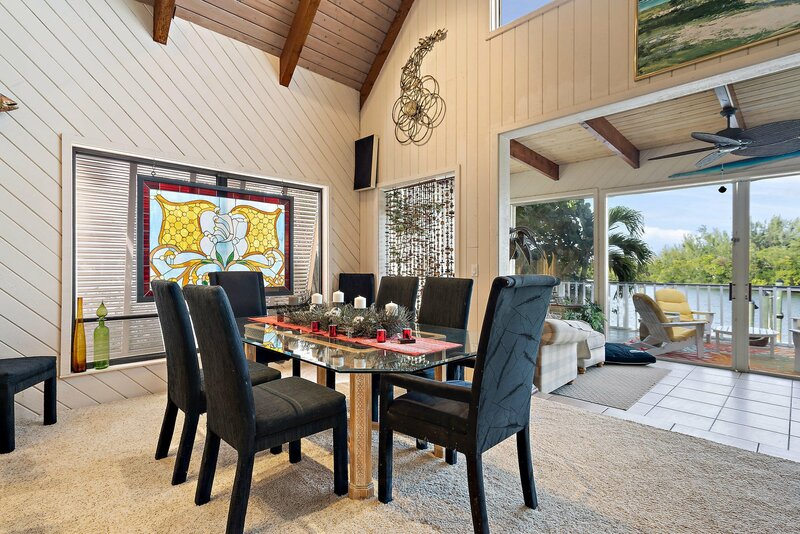 This charming Key West style property features ''A frame'' construction providing soaring ceiling heights with dramatic exposed beams and tongue and groove ceiling detailing. 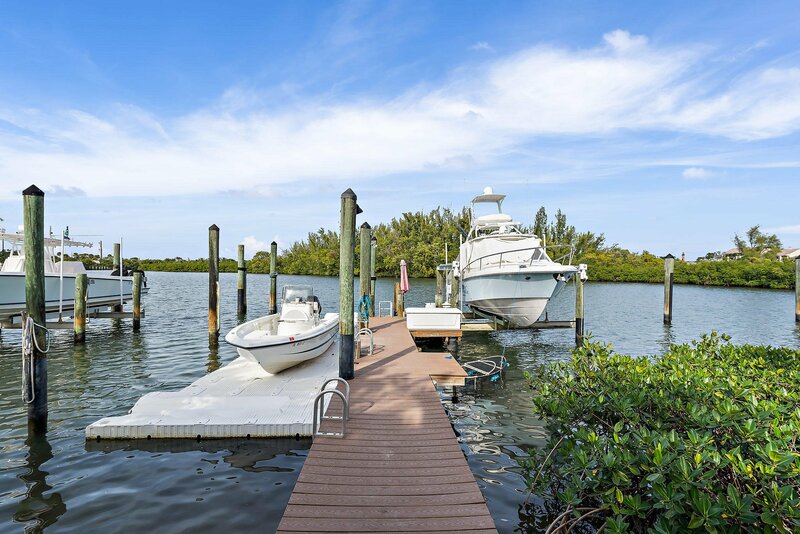 Multiple docks will allow for up to a 60' boat with deep water access and no fixed bridges. 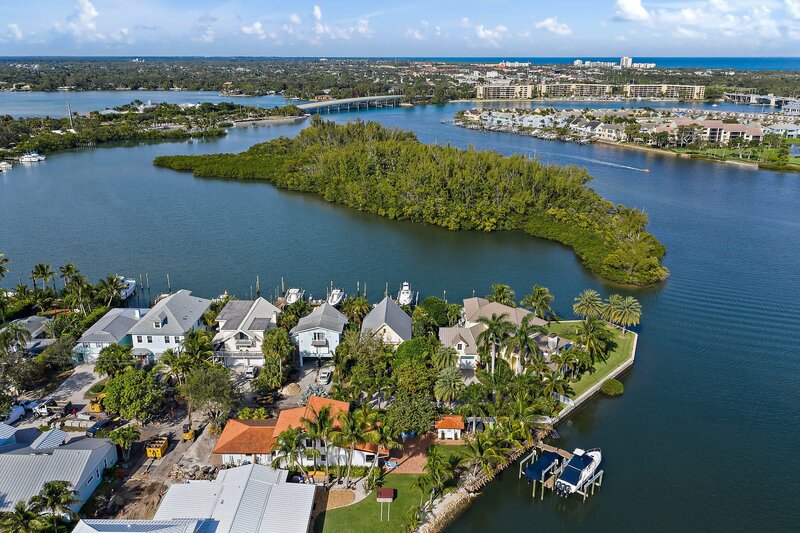 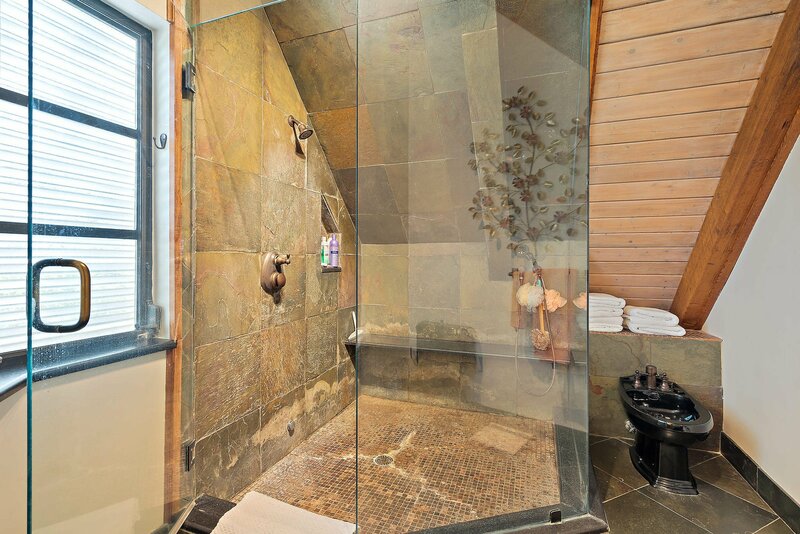 Property has city water and sewer, but has no deed restrictions or HOA fees. 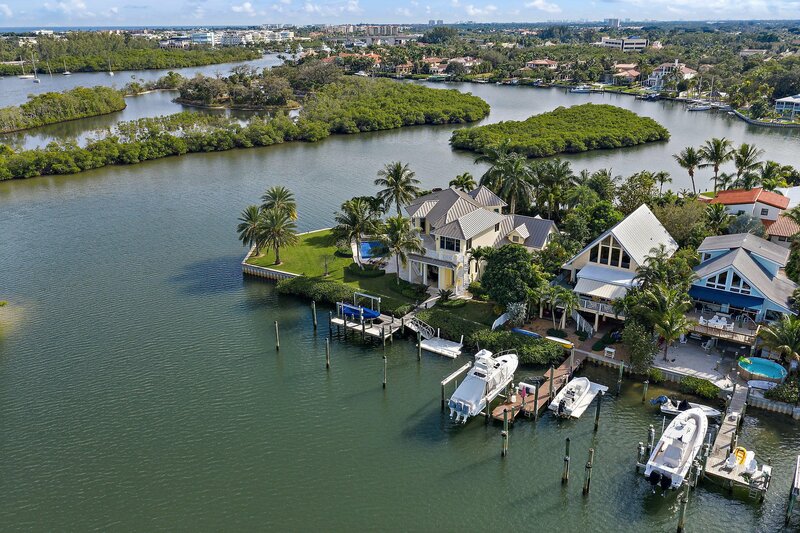 Come live in your own island paradise. 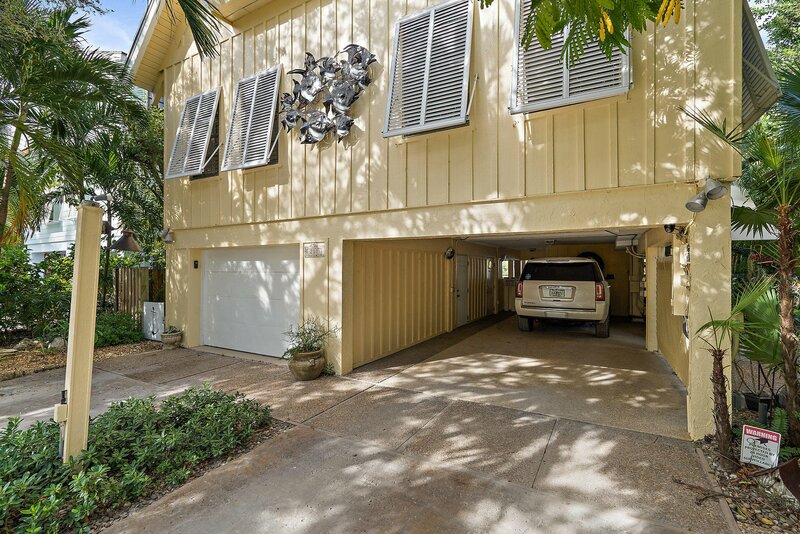 Listing courtesy of Bear's Club Sotheby Intl Rlty.